We live life as imperfect people, bumping up against other imperfect people. This relationship stuff is rarely neat and tidy. The world is a rough place and when possible we need to cut each other a break, to believe the best in each other and for each other. In a time of year when we are often in close proximity with people, either by choice or forced reunion, we may easily fall into old patterns. Here’s what I know: we can’t control how others behave, but we can always control how we behave. It may not take long for your brother to say something that takes you right back to your childhood and you hear the words, “He always…” or “He never….” start to run through your head. Your fuse will be longer if you start the reconnection choosing to believe the best in him. Make a list of everything you appreciate about that person. Get creative. If nothing else, the ridiculous items on the list will make you laugh. Consider the concerns the other person is bringing into the holiday season. This will help you remember the stress the other person is currently carrying and grow your empathy. Recruit a team to help you love others well. Ask your husband (or your sister or your mom, anyone who can read you) to give you a signal when you are starting to default into old patterns. Code phrases like, “Marcie just texted me” can clue you to reel it in. Pray for the other person. God has a way of making that heart adjustment on our behalf when we ask him to. Don’t expect perfection from someone who can’t offer it. Remember the imperfect person formula that’s playing out? Unrealistic expectations of others (and ourselves) need to be squashed. Try to have fun together. This can remind us about what we love, even like, about the person in front of us. Sometimes it’s just a mental recalibration, a choosing to believe the best in someone, that makes a world of difference in how holiday gatherings go down. And when it all fails, offer grace. What? You mean when she’s rude to me? When he doesn’t respect my wishes? When they go around me? Yes. Even then. That baby in the manger that we celebrate this time of year is love personified. He is the Prince of Peace, the reconciler, the definition of taking on more than his fair share of blame. We can celebrate him right here in the midst of our actual families by offering our families unmerited favor…otherwise known as grace. Rather than fighting back, but grasping for what is “rightfully yours.” remember that the grace offered you on the cross was undeserved, unmerited favor. And when we practice this grace offering we begin to change our perspective, our thoughts and our attitudes. So we can, you know, love our actual Christmas. 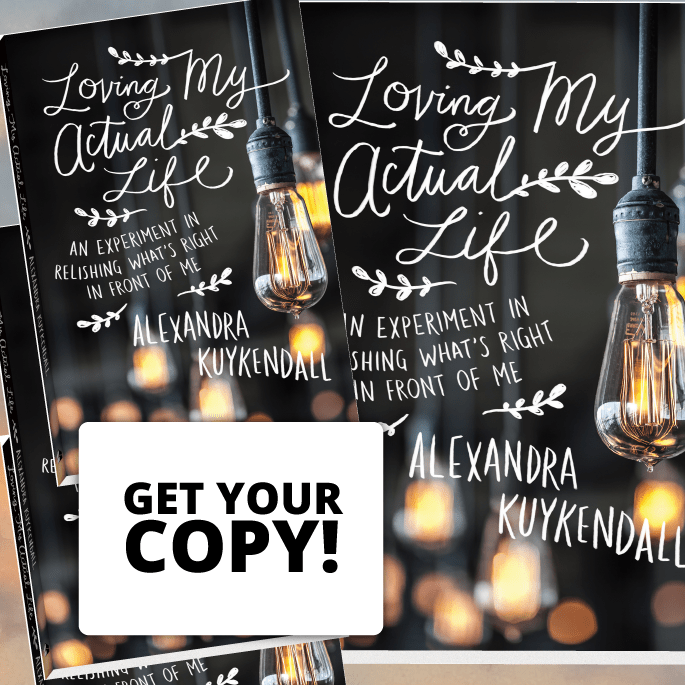 Alexandra Kuykendall is the author of Loving My Actual Life and The Artist’s Daughter, and the cohost The Open Door Sisterhood Podcast. 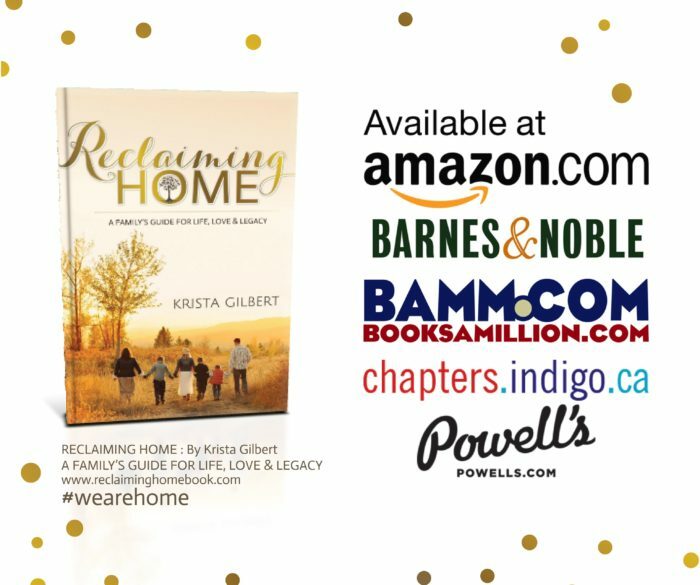 A popular writer and speaker for moms around the country, she is a regular contributor to MOPS International’s blog, conference, and curriculum. Alexandra has been featured on Good Morning America and Focus on the Family’s daily broadcast. She lives in Denver, Colorado, with her husband, Derek, and their four daughters.